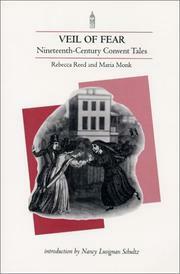 2 editions of Six months in a convent, or, The narrative of Rebecca Theres... found in the catalog. Add another edition? 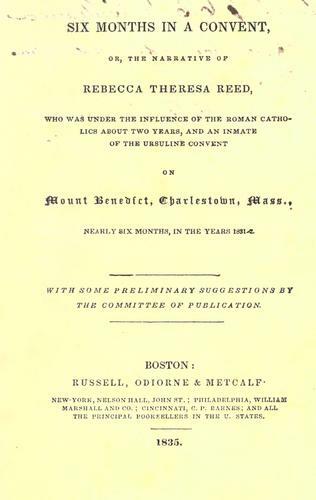 Are you sure you want to remove Six months in a convent, or, The narrative of Rebecca Theresa Reed, who was under the influence of the Roman Catholics about two years, and an inmate of the Ursuline convent on Mount Benedict, Charlestown, Mass., nearly six months, in the years 1831-2. from your list? 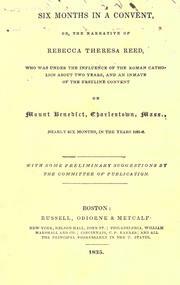 Published 1835 by Russell, Odiorne & Metcalf, N. Hall; [etc., etc.] in Boston, New York . Narrative of Rebecca Theresa Reed.